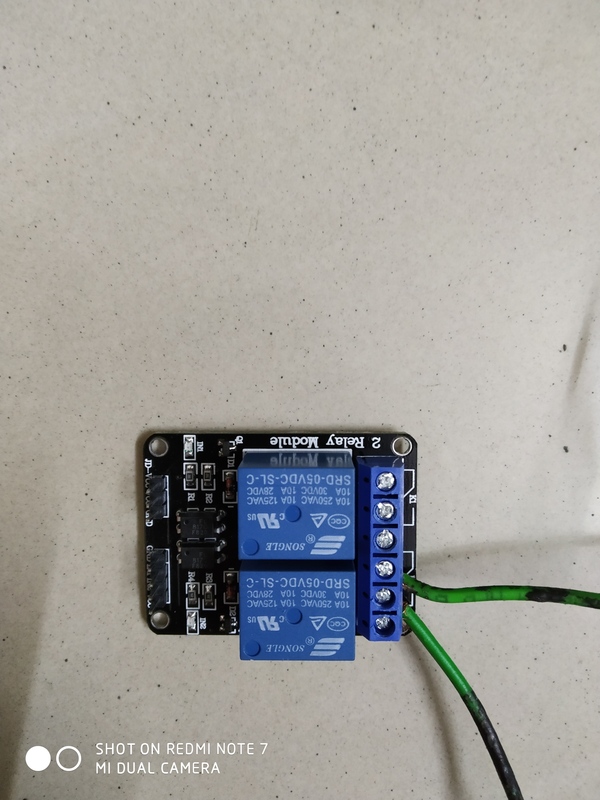 How to connect the double channel relay module to bolt WiFi module? Repeat the process as shown in the video two times for the double channel relay module. But I want to use only one channel of the relay. And I’m not able to understand the incoming connections in relay from bolt WiFi module. There are 7 pins out of which only 3 pins are being connected with the bolt WiFi module. That will depend on which pins of Bolt WiFi module you want to use. I suggest you perform the experiment of glowing an LED to understand how it works. Go through this carefully and perform the experiment given here https://docs.boltiot.com/docs/so-what-is-bolt-iot Do share a video here once you have completed the experiment given. Next try this: https://www.boltiot.com/projects/home-automation ignore the second relay for now. Let me know once done. Do let me know if this link is not helpful and if I have not understood your question correctly.